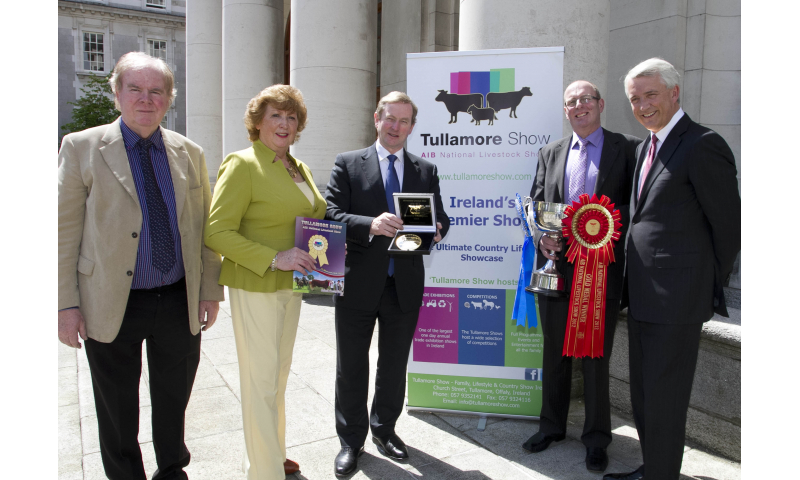 The National Launch of the Tullamore Show & AIB National Livestock Show took place at Government Buildings this week , with An Taoiseach Enda Kenny. 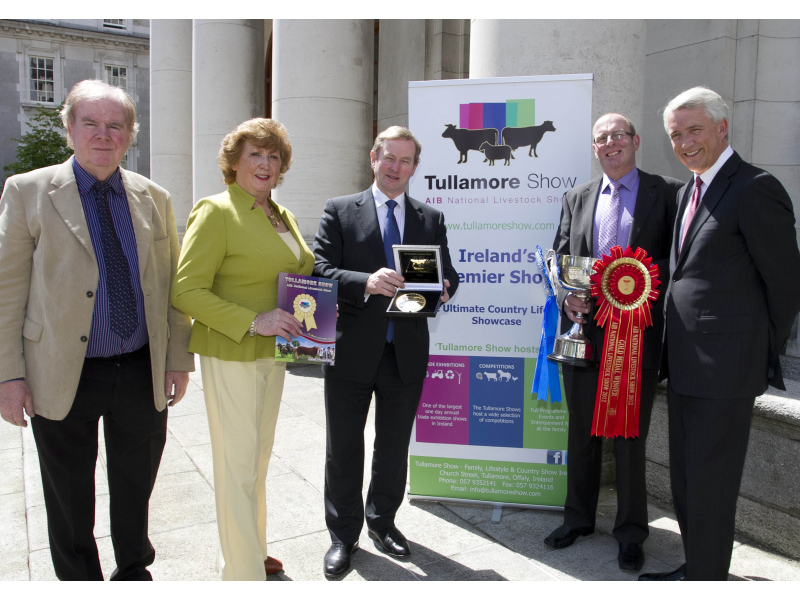 Pictured at the launch is Christy Maye PRO, Freda Kinnarney, Show Secretary/Administrator, Taoiseach Enda Kenny, Rodney Cox Chairman of the show and David Duffy Chief Executive of AIB. 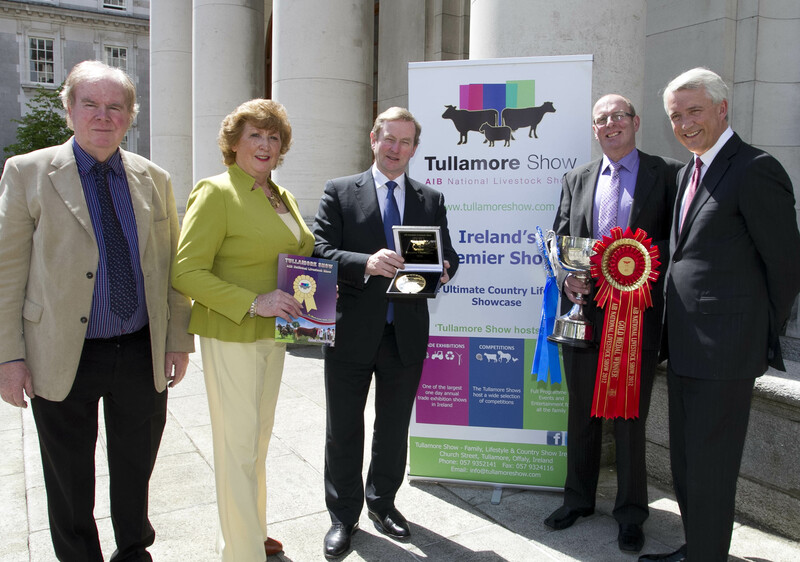 The show is taking place on Sunday 11th August on the picturesque Butterfield Estate, Tullamore, and the 250 acre Show site has been developed and reorganised recently. The Show will have over 1,000 exhibitors, and 600 Trade Stands, and will attract 60,000 from national and international visitors to this midlands event.